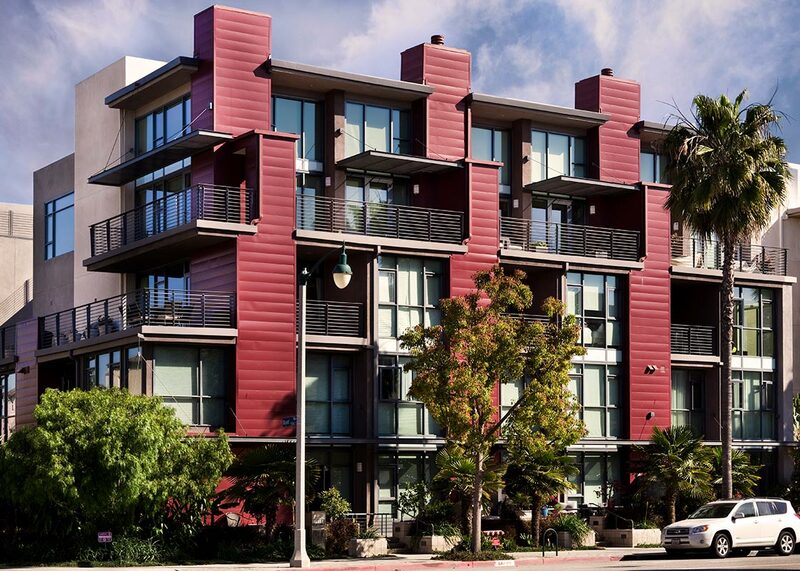 "Residential Project of the Year-Attached Product in Urban Setting"
"Multi-Family Housing Project 4 to 6 Stories"
On a prominent site in Phase I of Playa Vista Master Plan, Concerto Lofts consists of 89 units of for-sale condominiums. The project offers townhomes, loft-style flats and penthouse units with mezzanine lofts. Located along Pacific Promenade across from Concert Park, many units have deep patios and balconies facing the urban park. The project is articulated as three courtyard buildings that are similar in style yet are differentiated by individualized architectural elements. A public pedestrian path separates two of the buildings and leads to the Concert Park.